TOYS CAN BE MULTITASKERS, TOO! If you have been to the toy aisles of your local EverythingMart lately, you know how overwhelming shopping for toys can be. There are so many choices! Do you choose based on age? Gender? Television show or movie tie-in? How in the world can you figure out how to best stock your playroom with toys that the kids will actually play with? It is very disheartening to buy a toy that you’re sure your child will love, only to have them play with it for a day and then shove it in the bottom of the toy box. In this article I am going to share some tips for getting the most bang for your buck in the toy aisle! 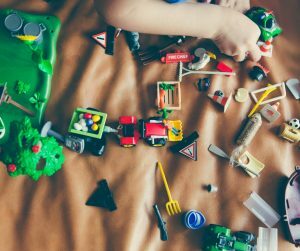 There are many things to consider before bringing a toy into your playroom – especially if you are concerned with creating an atmosphere that is fun, supports your family’s values, and promotes early learning. The toy industry’s marketing machine is a huge behemoth that will make you feel that if you love your children, you always have to be buying the latest and greatest buzzing, light up, battery-operated monstrosity. Don’t get me wrong- some of those toys can be FUN! There is certainly a time and place for them. I was a nanny for 16 years. Over that time, I was with five different families. It was one of the most rewarding jobs I have ever had! To be able to watch children grow and learn each day, and to be a part of that growth was truly amazing. One of the best things about being a nanny was that my “office” could be anywhere! We could go to the library, museum, zoo, or any other myriad of places to participate in fun activities. Living in Metro Atlanta, we had a lot of places and activities to choose from. Today, I want to give my top three places to go to on a rainy day in and around Atlanta. My favorite place, ITP (inside the perimeter) has to be the Georgia Aquarium. Touting itself as the largest saltwater enclosure in the world, and housing four Whale Sharks, the aquarium is nothing short of spectacular. From the dolphin show to the otters, to the touch tank; the aquarium is a joy for all children and adults alike! I highly recommend this attraction any rainy day. Each time I go, I see something different. They often have reduced prices on the weekdays at different times of the year. Be sure to take your charge(s) to this magical place! I have two favorite places OTP (outside the perimeter). First, The Center for Puppetry Arts in Roswell is an amazing museum, playhouse and workshop all in one! Go here for a show throughout the year and see timeless tales such as “The Little Mermaid”, “Rudolph the Red-Nosed Reindeer”, and “Peter Pan”. The Center also has a permanent display of Jim Henson’s most famous “Muppets”. It is truly a sight to behold. They also hold workshops where you can learn to make your own puppet and learn about being your own puppeteer! Second, The Tellus Science Museum, in Cartersville is a science lovers dream! From the moment you walk in, the display of the weighted pendulum and guessing which domino will fall next starts your day of fun experiments! They have a dinosaur exhibit, automobile and space exhibit, rock and precious gem exhibit, as well as many other attractions. For the little ones, there is a small children’s area with a lot of enjoyable things for them to touch and play with. To finish it off, they have a gem mining room as well as fossil find! The planetarium is also something you will wish to explore for the space and astronomy loving child you may nanny for. 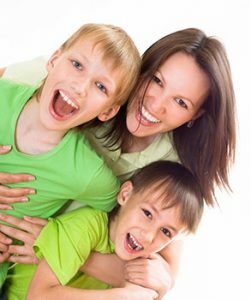 If you need a great caregiver to show your kids a good time in Atlanta, TLC is always ready to provide you with one on short notice. No matter where you go, there are many indoor attractions in and around Atlanta to explore with your charges. Have fun, be adventurous, and happy trails to you all! 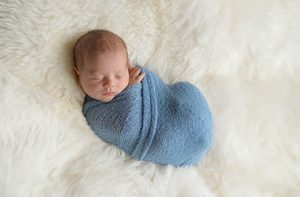 Swaddling your newborn has important benefits! As the director of our Newborn Care Program at TLC Family Care, I am asked many questions about infant care. I hear a lot of questions about the importance of swaddling. Last night I had the opportunity to attend the Certified Newborn Specialist and Postpartum Doula training through Parenting Resources in St. Louis. During class, I learned how to properly swaddle a baby using the “nurses swaddle” technique. My instincts and previous training about swaddling were confirmed; swaddling your baby can make a huge impact on the happiness of your baby and the amount of sleep you and your baby will get in the first few weeks and months of life. A good swaddle can keep your baby from being disturbed or wakened by her own startle reflex which causes her to wake up no matter how tired she is. Newborn babies can be swaddled anywhere from 18-20 hours per day and sleep 38% better than newborn babies that are not swaddled. You should swaddle your baby within hours of giving birth and continue to do so until they are approximately four months old or starting to roll over, whichever comes first. As a parent, I knew that swaddling is encouraged by doctors and nurses but I am not sure I truly understood the benefits until now. I would recommend everyone learning how to swaddle correctly and do it often. It can be a lifesaver. During the next few weeks, I will be sharing more helpful hints regarding the care of newborns! Stay tuned. 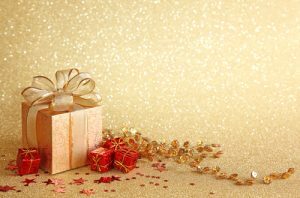 A gift won’t make an impact unless it is something that relates to the giftee’s personality. You want your gift to reflect the child or parent that you give it to. Have a brainstorming session where you write down each family member’s name and explore the most prominent parts of their personality. Identify traits, hobbies, likes and dislikes so you have a thorough list for each individual. Record your list and brainstormed thoughts on a digital or physical notepad so you can use this as a guide when you shop for gifts. If you struggle to come up with ideas on your own, write down some questions you can ask the children or parents to find out more about them. Make sure you do this in a tactful way, so you don’t come off as too intrusive or give away the fact that you’re searching for the perfect gift. Read more on finding the perfect gift for your nanny family on Regarding Nannies.